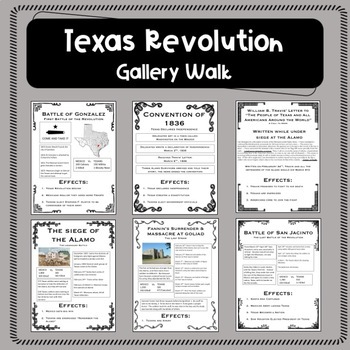 This gallery walk is highly engaging because it presents the information in easy to digest chunks. 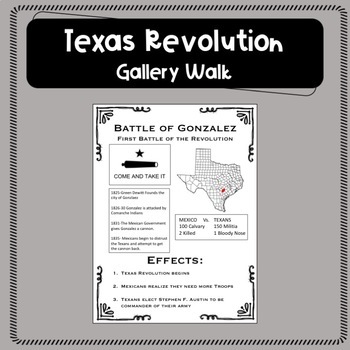 The students can quickly find out what the battle was about using the time-line, they can see the results of the battle with the military statistics, and the effects of the battle in an easy to understand format. 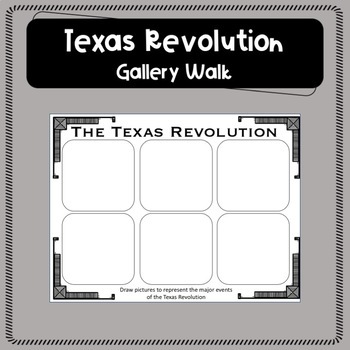 This will get your students asking questions, because it piques their interest! There is the added bonus of each page in 4x4 format so that they can put the pages in their interactive journal! 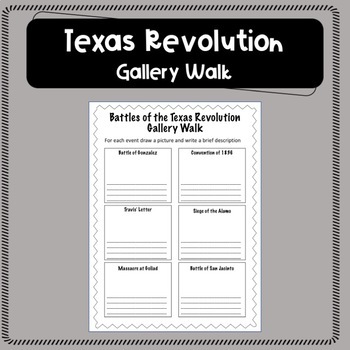 The student answer page asks the students to draw a picture representing the battle which will help with visual learners and ELLs. It also asks the students to write a brief description which will help with their summarization skills. The final summative assessment is for the students to draw a comic book with the events in chronological order. I hope your students enjoy it as much as mine!